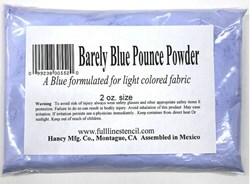 Barely Blue color Hancy Mfg Quilt Pounce Refills come in an easy to use, zip bag. Just remove the caplug and pour into the reservoir. Easily washes off with water. Keep from direct heat or sunlight. 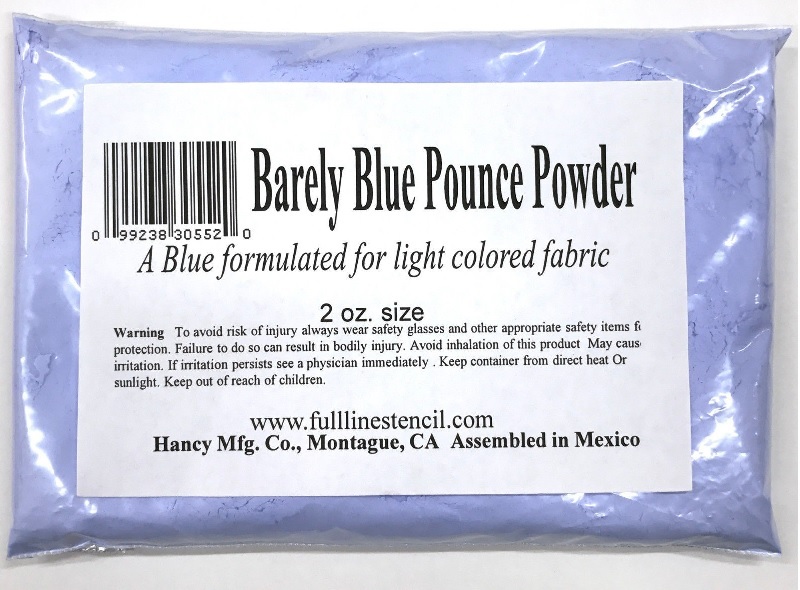 Chalk Barely Blue - perfect for light colors- comes in two 4 ounce zip bags. Wash out or brush off, does not iron off. Will not harm fabric. Click Here for All of the Pounce Pads and Refills.